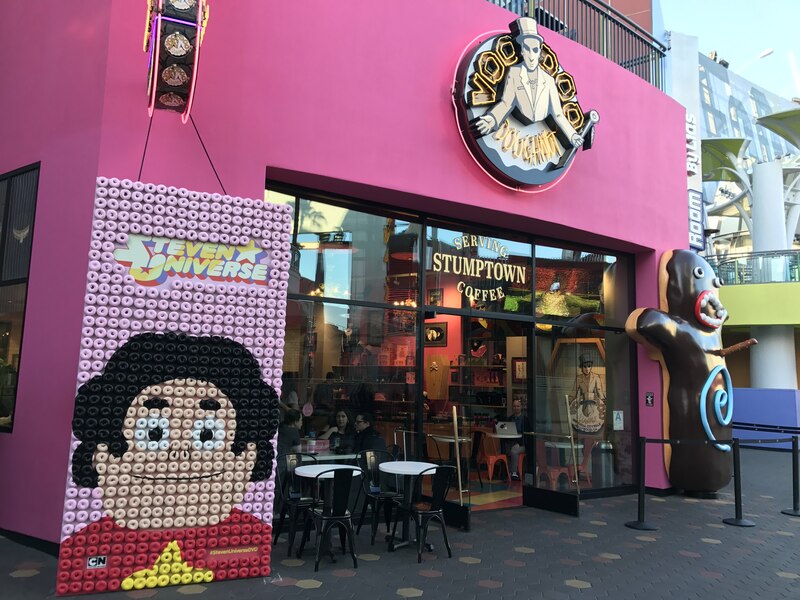 Beach City Bugle: Steven Universe takes over Voodoo Doughnut at Universal Studios Hollywood! 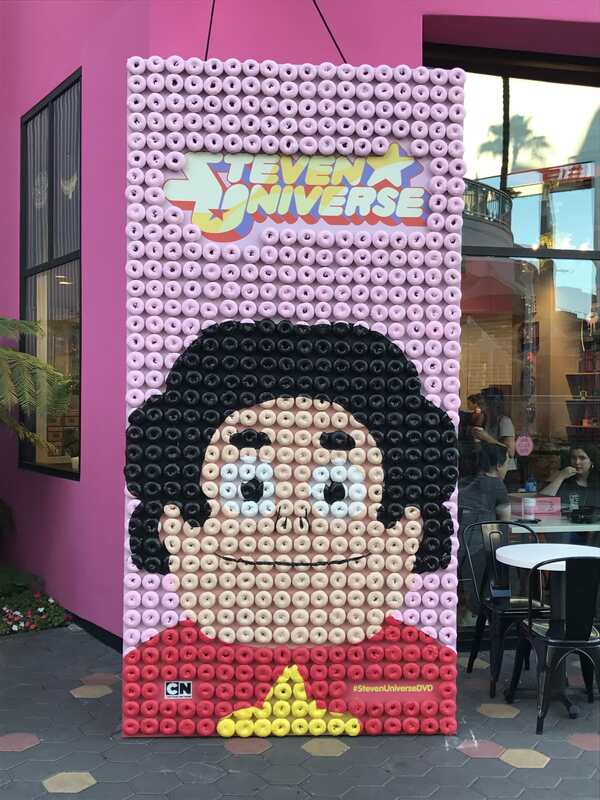 Steven Universe takes over Voodoo Doughnut at Universal Studios Hollywood! Little Ursa here with a long-delayed recap! 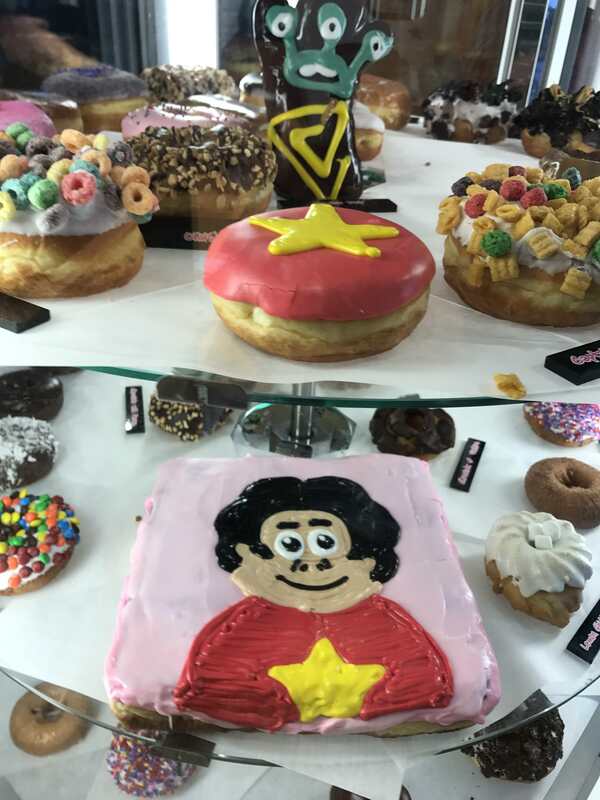 Last month, Cartoon Network took over Voodoo Doughnut to celebrate the release of the first season of Steven Universe on DVD. 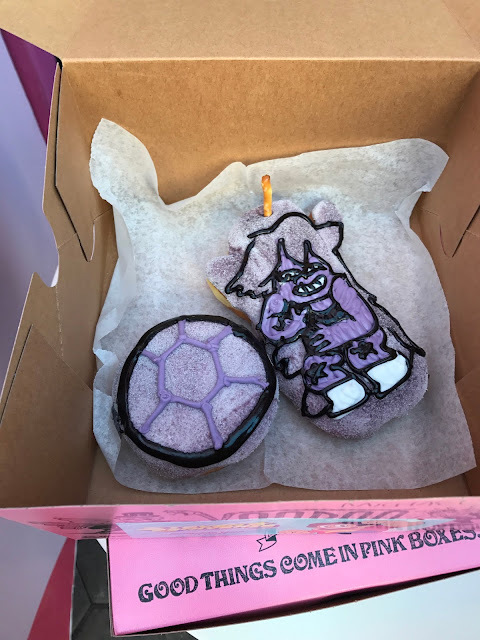 I was lucky enough to be on the ground and get some photos of the event, and even get some of the special, Steven-y doughnuts! 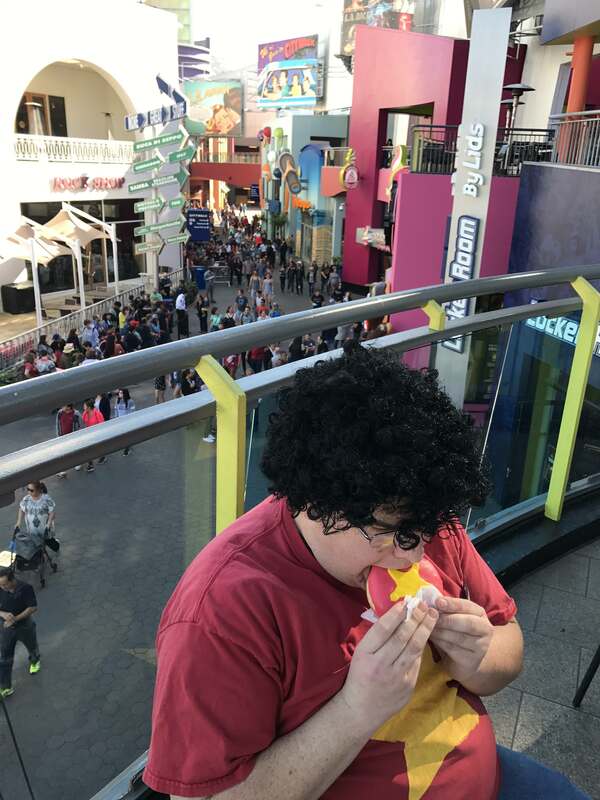 More photos after the break. 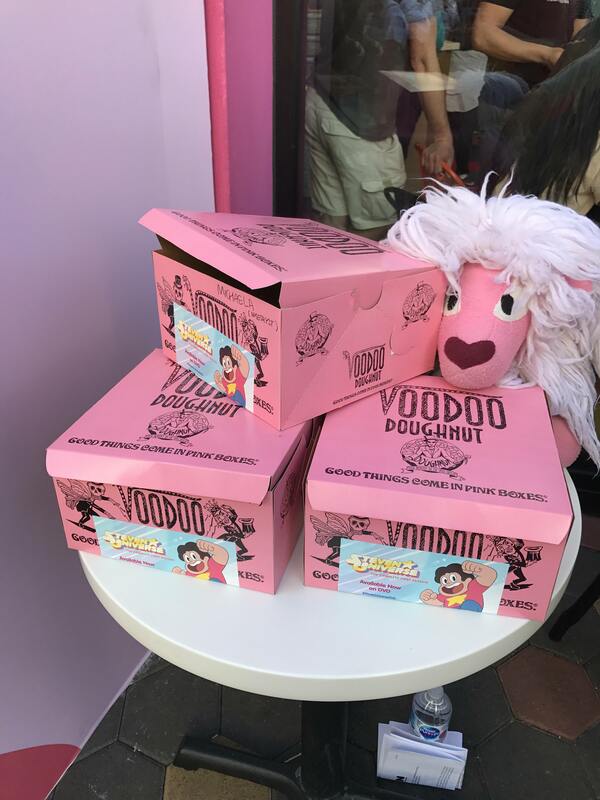 Voodoo Doughnut at the Universal CityWalk in Hollywood, CA. The icing of the Steven Universe cakes that were given out to the kids. 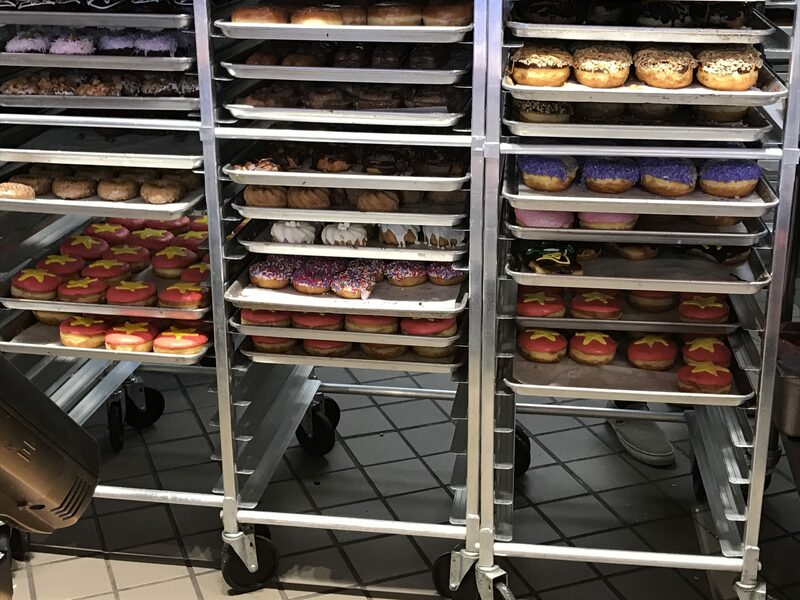 Numerous of the Bavarian cream-filled Steven Universe doughnuts awaiting for the selling rush. 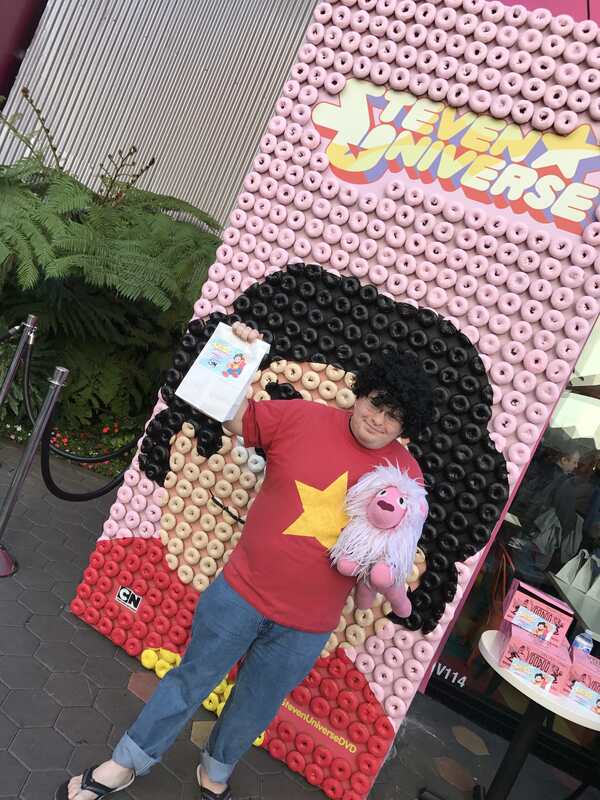 Little Ursa (myself) posing before the doughnut Steven prop. 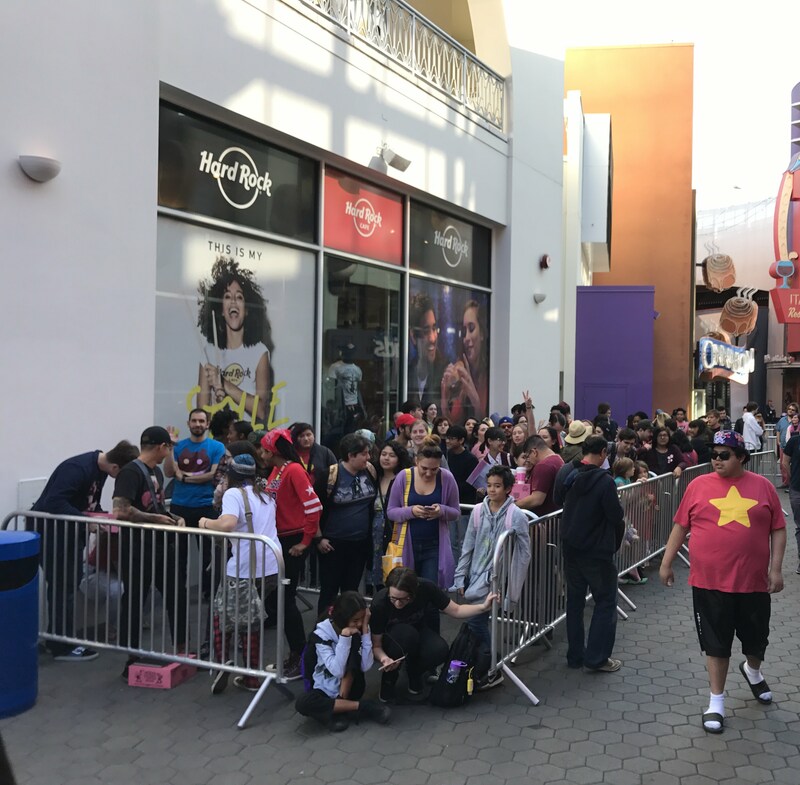 A very small portion of the line of people waiting to get the doughnuts from the voice actors. 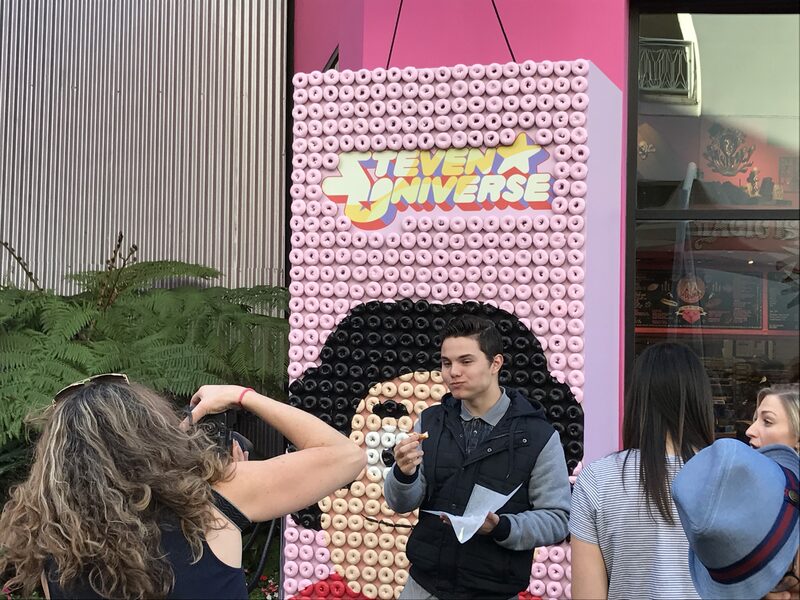 Zach Callison (voice of Steven), posing while getting a quick bite to eat. 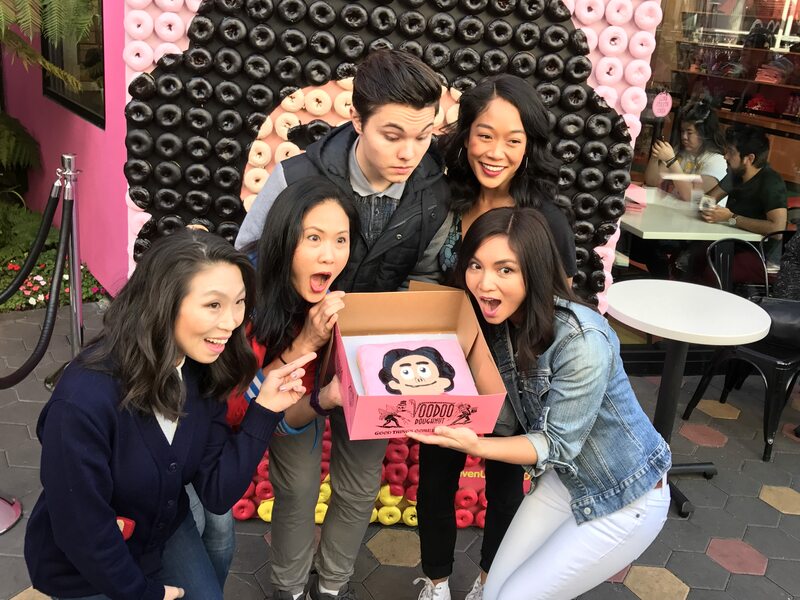 Michaela Dietz (voice of Amethyst), Deedee Magno Hall (voice of Pearl), Zach Callison (voice of Steven), Shelby Rabara (voice of Peridot), and Jennifer Paz (voice of Lapis) all posing with one of the Steven cakes. That cake was given to one of the kids cosplaying to the event. 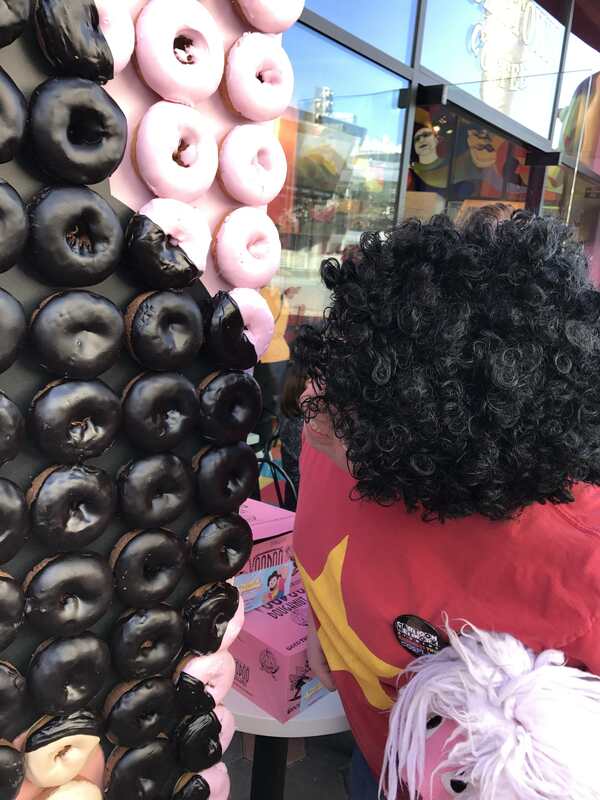 A sample of the madness that was happening behind the counter as the voice actors dished out the doughnuts. Each of the bags were given with a sticker, advertising the newly released DVD. 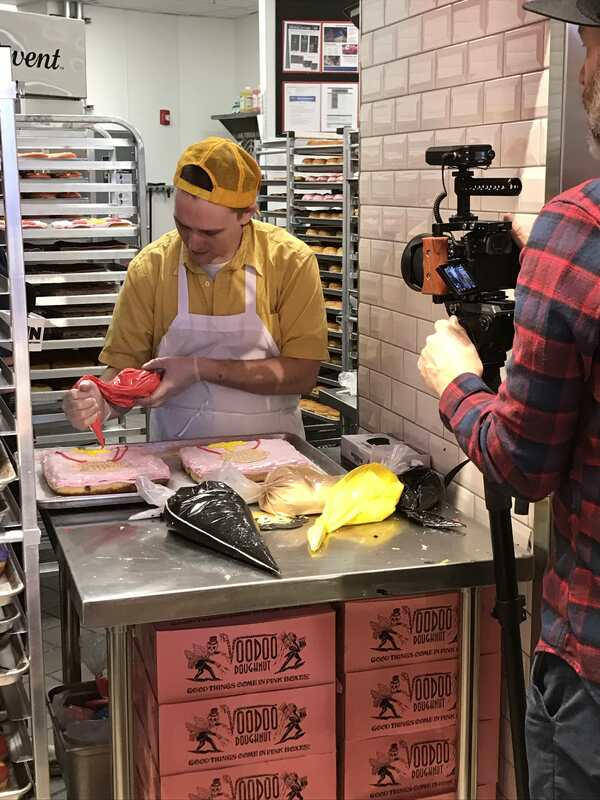 If you were wondering, yes, the entire display was made of real doughnuts and frosting, and yes, it smelled amazing. 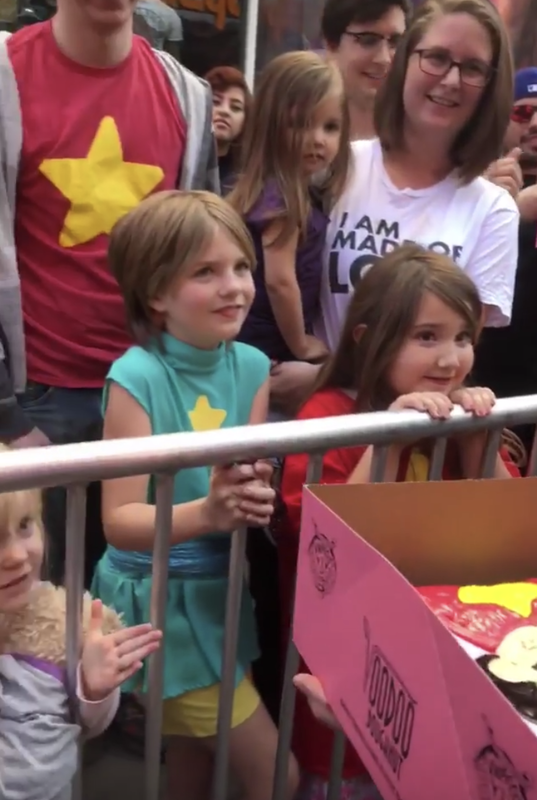 Some little cosplayers getting one of the Steven cakes. 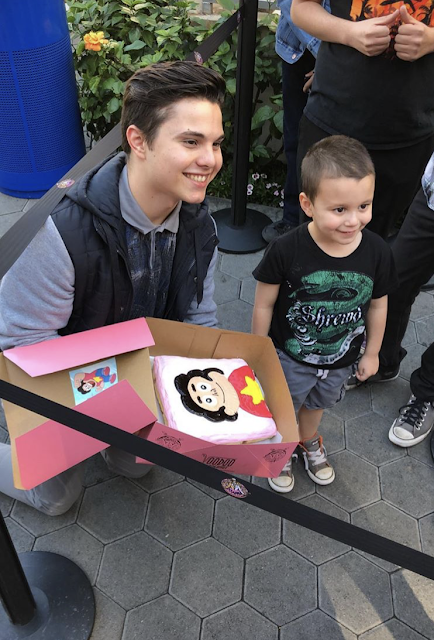 Zach Callison (voice of Steven) meeting a small fan and giving him one of the Steven cakes. 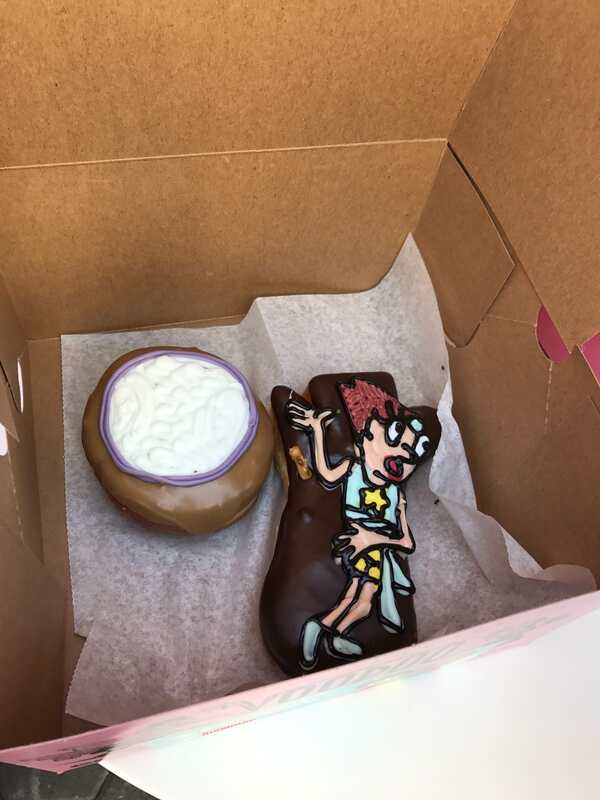 Two specially made doughnuts for Michaela Dietz. 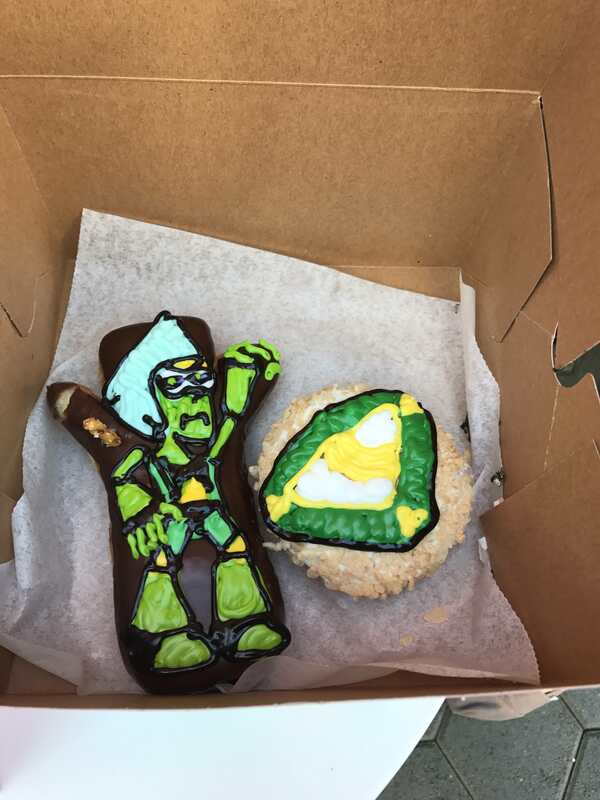 Two specially made doughnuts for Shelby Rabara. 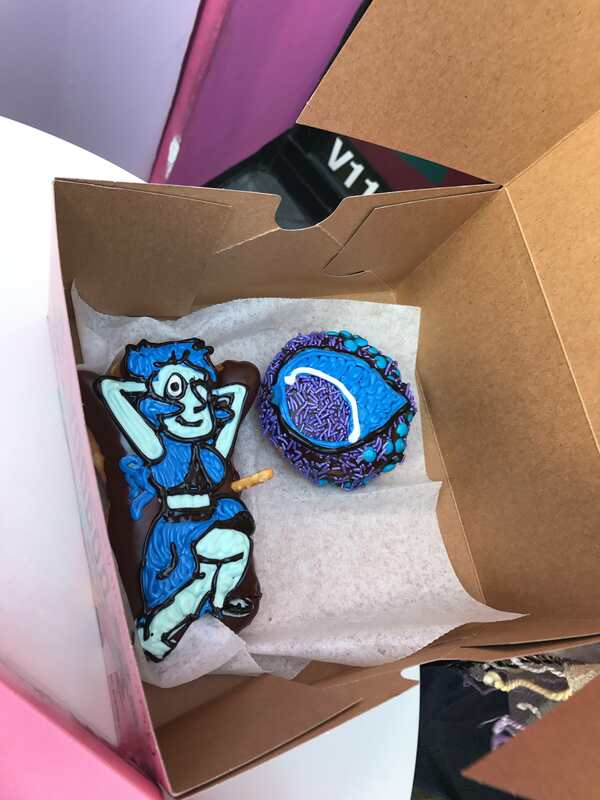 Two specially made doughnuts for Deedee Magno Hall. 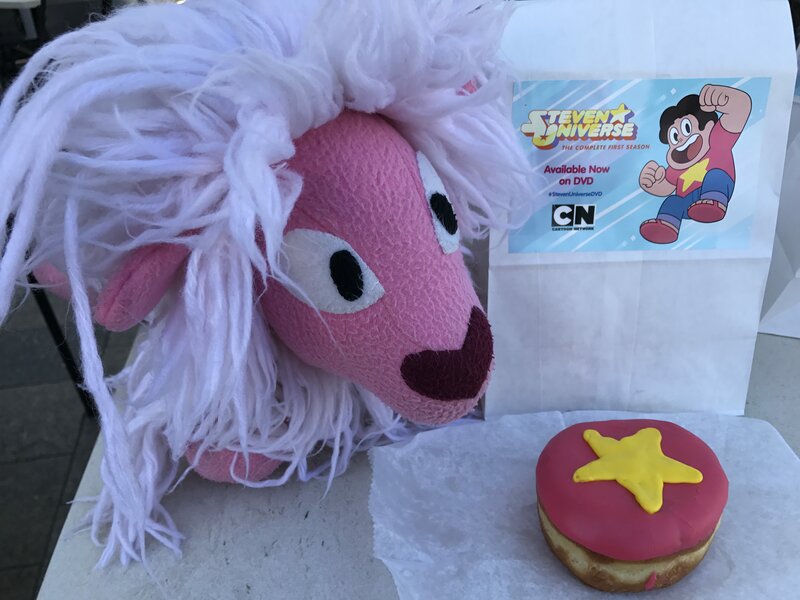 Lion chilling with the special doughnuts for the voice actors. 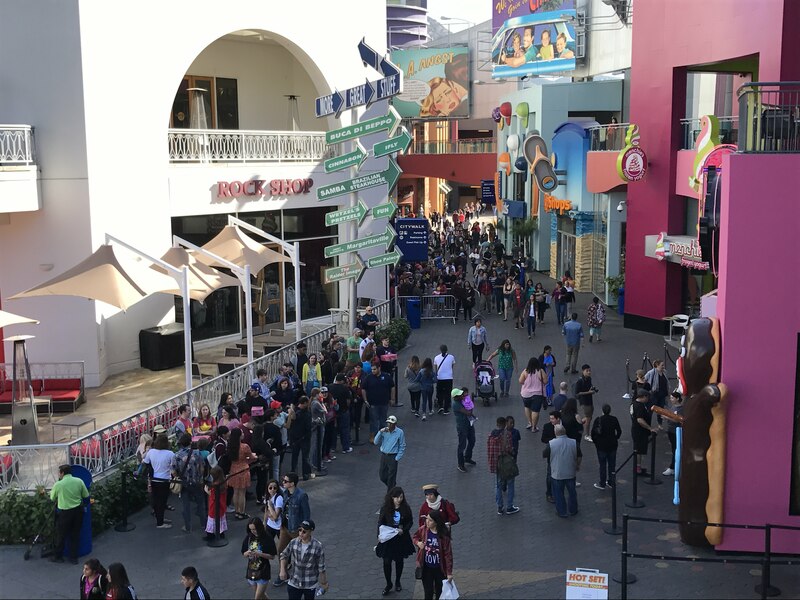 The line to the Voodoo Doughnuts event around the early afternoon. Little Ursa (myself) taking a break to enjoy the doughnut. 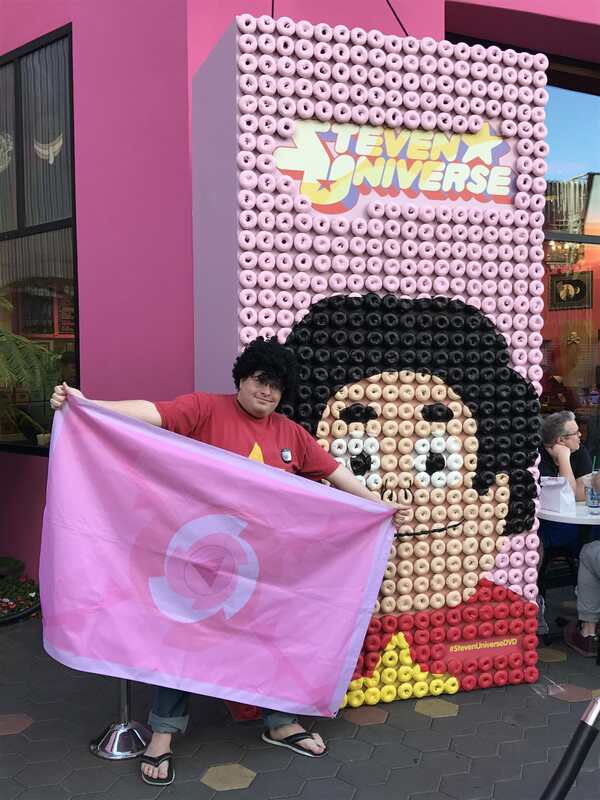 Join me next time for when I go to the next Cartoon Network event, whenever and wherever that might be!